The months have flown past, summer turned to autumn and now winter is upon us. While the kitchen has been active my writing mind has been on a sabbatical. 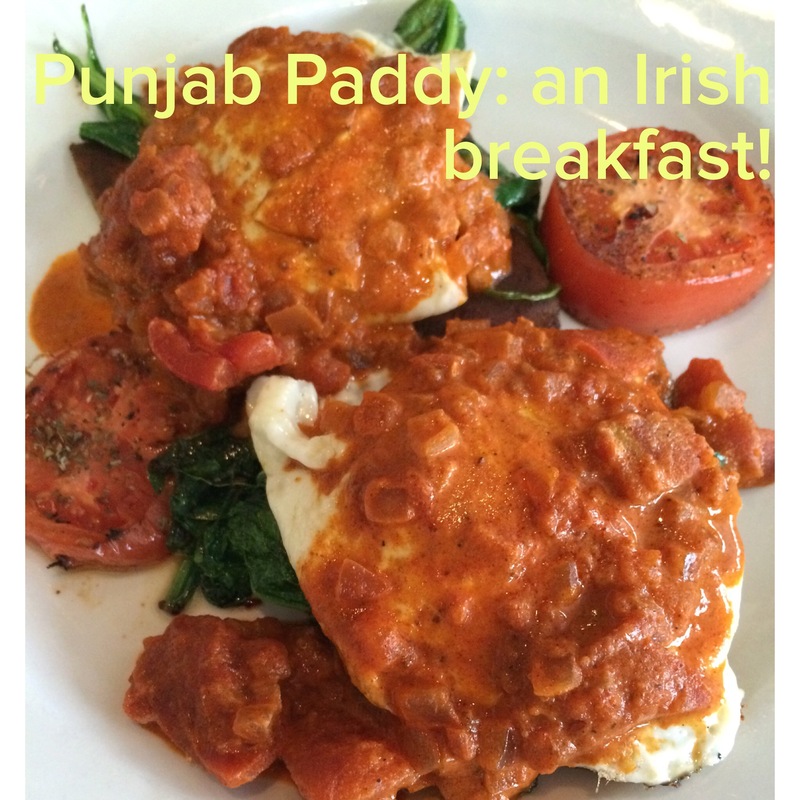 To jump start, I am sharing the image of an interesting brunch entree we devoured recently: Punjab Paddy. Yes, that’s the name! Punjab for the delicious, creamy gravy on top and paddy for, no not rice grown in the fields, but for the potato pancake at the bottom. Paddy also happens to be a slang term for an Irishman. Often considered a slur, derived from Patrick. Thinking of Patrick, who doesn’t know of St. Patrick’s day? Any excuse to be able to gulp down barrels of beer in broad daylight is welcome! The Punjab paddy was served with sautéed spinach between the paddy and egg with a side of toasted bread. Scrumptious! The perfect brunch accompanied by a pot of early grey tea. McCarthy’s Red Stag Pub and Whiskey Bar, tucked behind a welcoming Irish souvenir shop in downtown Bethlehem, is unassuming and intimate enough to enable you to enjoy a decent conversation, admire the collection of scotch whiskies at the bar and appreciate the poetic lilt of Irish blessings. If you happen to find yourself hungry on a weekend morning in the Lehigh Valley, a trip to McCarthy’s will be worth your time. I hope the thought of this combination inspires you. And see you soon with more recipes!